How To Finally Get Enough Sleep No Matter What's Going On In Your Life - maitengok! Ever wondered if you're getting enough sleep every night? Or perhaps you already know that you aren't—because you're having trouble falling asleep, or waking up during the night, or getting up too early in the morning? Winter and the fact that it gets dark earlier mean we should be sleeping MORE, not less. However, the majority of people I see in my office are not sleeping enough. Most have sleep issues, but some are just staying up too late. I want to share my view on WHY sleep matters so much, and to give you tips to help you sleep better. I've spoken many times about adrenal fatigue, which is an exhaustion that comes from too muchstress that hasn't let up for months or years. Your adrenals repair themselves at night, and my favorite analogy is the bathtub. If you're trying to repair your body, meaning your adrenals, you're trying to fill an empty bathtub with water. You might be doing many good things, like eating healthy and exercising, but if you aren't getting at least seven hours of sleep every night, the drain is wide open and will undermine your efforts to feel better. Many people need more than seven hours of sleep, but studies show that seven is the minimum. The bottom line? Getting solid sleep is the single best thing you can do for yourself during times of stress to keep your immune system strong, and prevent yourself from getting sick. The first step is to ask yourself WHY you aren't sleeping enough. For some, it's simply that you're going to bed too late because you're enjoying time alone at the end of a long day of taking care of others. Or perhaps you're still keyed up from working late or doing things in the evening. One of the keys to getting a good night's sleep is preparation. A good nightly wind-down routine will not only help you to fall asleep, but will also help you to stay asleep. Begin at least an hour before bedtime by turning off any electronics such as television, computer, smart phone, iPad, etc. The light from the screens and the stimulation of watching them literally keep your brain in the "on" position. If you have a TV in your bedroom, I highly recommend removing it so you aren't tempted. Instead, treat yourself to soothing activities such as a warm (but not too hot) bath or shower. When the water is too hot, the body absorbs that heat and the heart rate speeds up to try to cool down. There is scientific evidence showing that a higher body temperature at bedtime makes it harder to fall asleep. For this reason, people should avoid strenuous exercise after about 5 or 6 pm—the body needs to cool down for 4 to 5 hours after exercise in order to support falling asleep and staying asleep. If a warm shower or bath is not your thing, try calming music, or reading an uplifting book. 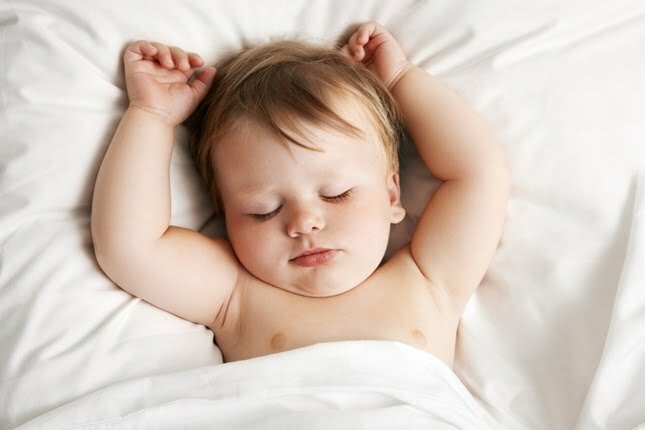 Try to go to bed at the same time every night—even on weekends—to keep the body's internal clock in a routine.Try to go to bed at the same time every night—even on weekends—to keep the body's internal clock in a routine. Also, keep a steady wake-up time each morning. This regularity supports adrenal recovery. If you find your mind is still making lists or worrying when you get into bed, try listening to a guided visualization or meditation. Check out our Learn To Relax Took Kit which has many helpful tips for sleep as well as a recording to gently calm your mind so that you can fall asleep. Tired of being tired? Your diet may be the reason. There are certain foods and beverages that can interfere with both falling asleep and staying asleep. The most obvious one is caffeine; sources of caffeine include coffee, sodas, chocolate, hot chocolate, tea, and even coffee-flavored ice cream. The smallest amount of caffeine can interfere with your sleep cycle—even the amount in decaffeinated products can be disruptive. Inflammatory foods like sugar, alcohol, food coloring, and refined carbohydrates can be culprits as well since they literally aggravate the brain, causing an irritation that can keep you up at night. Try removing these foods from your diet for a few weeks to see if it helps your sleep issues. Instead, choose foods high in tryptophan since it gets converted into melatonin. Organic turkey, chicken, eggs, and almonds are all great examples of foods that help us get the good night's sleep we all need. Another way to get a good night’s sleep is to make sure you eat plenty of protein throughout the day. I recommend aiming for at least 15 grams with all your meals and also include some form of protein as a snack. Keep in mind that there are many kinds of sleep aids and they all work differently—you might need to experiment with a few to find the right one. In general, these supplements are good to take while washing up, about 15 to 20 minutes before bed, unless otherwise noted. Melatonin: 1 to 3 mg at bedtime. Liquid or sublingual is usually best. Sleep Aide by Vital Nutrients: 1 to 2 at bedtime. Theanine: 1 to 2 capsules. You can also take this in the middle of the night to go back to sleep. Somnolin or 5-HTP serotonin formula: 1 tablet at bedtime. Do not take without my supervision if you are on antidepressant medication. Trancor, GABA formula: 1 to 2 capsules in the evenings. If you run anxious, you can take up to 4 of these per day, and take it earlier in the evening as well. I hope all of these tips help you improve your sleep and get some much needed shut eye!